Having had several alchemist friends scrounge iron bars off me for this exact purpose, it being a cheap, albeit slow way to skill up a few points, I can confirm this personally, but the link ought to leave little room for such glaring errors. A little bit of research goes a long way. - Start at the kobold cave by Hammerfall. - Move to the Witherbark Cave. - Then the ogre cave at 54,76. - Then the other ogre cave by Refuge Pointe. Then start again. Each cycle is enough time for Iron Deposit respawns. You will also find Mithril, Gold and Silver very often and Truesilver from time to time. This is how I farmed 310 bars in 2 days. Requires a jewelcrafting skill of 125+ to prospect. Splithoof hold in 1000 needles holds 2-3 iron veins, with fast respawn timer. Stranglethorn Vale is a great place to find this. You'll never find anything lower, and the occasional Mithril Ore too. Always look near cliffs or ledges, it comes with Heavy Stones which are great for leveling Blacksmithing from around 180-225. Iron veins can also spawn as gold veins, but you need mining 155 to mine gold. I also know (and also will not reveal) the location of this node. It is awesome for midlevel mining skillups. I'm surprised I haven't seen any love for Feralas here. Iron is all over the place -- I don't think the zone's name is a coincidence. After I finished the loop I flew around a bit and almost all the nodes had re-spawned, making Feralas an ideal zone to farm Iron Ore.
Feralas is Iron Ore kingdom, if you are a higher lvl with a flying mount please dont make the same mistake as i did, all the veins are down below were the ground mounts can reach them, up on the rocky spikes are none. Only took me about 30-45 minutes to get all of it with a 150% flying mount. I spent an hour cycling through and around the crystalvein mine in Stranglethorn and picked up 12 stacks of iron ore, but also hit 2 gold nodes and 1 silver. As a lvl 33 Pally it seemed to work out well for me at around 12 minutes per pass through giving them time to respawn. It only took 1 and a half loops around the outter edges of Feralas to completely fill a 32 slot mining bag. Total time spent there was around 30 minutes or so with 310% mount. It was mostly iron and heavy stone with partial stacks of Mithril, gold, and silver. Gatherer still says it requires 125 mining to grab iron ore, but it doesn't anymore. I was mining it with a skill of 110. Not super impressive, but it was done FAST! The loop is pretty much perfect, and you can go non-stop for as long as you please. Edit: If you aren't listening to techno/dubstep while doing this monotonous, boring, grinding task... you are also wrong. Don't be wrong. why does Deathguard Abraham have a place on this list? I find, for running, not flying, its Feralis. Fly into camp ataya and run upper portion. ( twin colossalas, jademir lake ). It all respawns so you can just run, run, run till you get what you need. 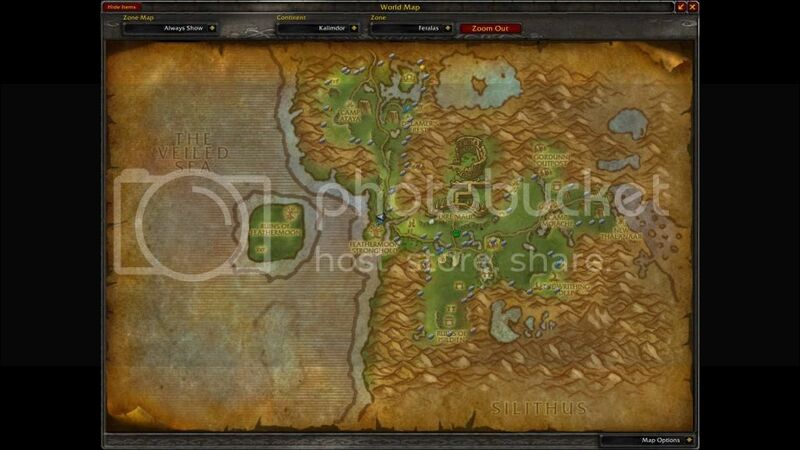 By onerios, there is a pvp camp, so watch for it. Not hard to skirt, so just beware and no worries. I definitely found the most Iron Deposits in Feralas, I also found some in Desolace but not much. I recommend Feralas over Desolace for farming Iron Ore. When you mine Iron Deposits you also get Heavy Stone, this can be used to make things in Jewelcrafting and Blacksmithing. To prospect Iron Ore requires at least 125 Jewelcrafting skill. If you are a 'twinked' toon trying to level mining for the buff and you don't want to have to buy all your ore from the AH, head over to Eastern Plaguelands. Take the river out of Hillsbrad and farm around that lake that the river connects too. It's the lake outside Strath. In 20 min I have six stacks of iron and they are spawning faster than I can run around. My level 25 hunter can farm for days (and my other twinks have) and not be bothered by the level 42s just on the other side of the hill. I only wish mithril was as easy to get without having to spend 20 seconds fighting skull mobs! Then, if you're Alliance, you just have to HS back to Sw, see your trainer and go to Burning Steppes for the next 50 skill points. Requires a skill level of 100. I would say that Feralas is still a great spot for Iron Ore. I did a full circuit of all nodes (including caves) using the Routes and GatherMate 2 addons. I have 451% flying speed and it only took about 31 minutes to hit ALL nodes. I did notice a couple other people mining at the same time, so numbers could have been slightly better. I found that a really good route for Iron ore is in WPL. There are a few gold ore spawns as well but they don't show up that often. The route covers the edges of the zone while cutting in on a few places to cover more of the middle of the zone. The gold per hour is calculated at the current average Iron Ore prices on my server (1,5gold / Iron Ore). A video of the run can be found on Youtube and i would appreciate any feedback / comments. Feralas is the way to go. Feralas is a great place to farm Iron Ore for blacksmithing (that's why I farmed here.) The top part of Feralas seems to be more densely populated with nodes than the bottom half, but that was just my experience. Very little Mithril nodes in Feralas as well, so you will encounter almost completely Iron nodes. Good luck farming everyone! Feralas is the best place by far to farm iron ore. In Lich King version you can find a lot of it in the caverns. Like in Feralas. The carverns are full of differents ores :DD !